Introducing the crAssphage, an 84 bp BLAST from the past, archaea in the Savannah, metabolomics of racehorse microbiome, and X-raying headphones. 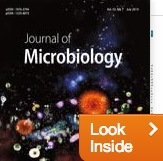 This entry was posted in Animal microbiome, Human gut, Human oral, Phages and viruses, Pregnancy and birth and tagged crAssphage, headphones, horses, metabolomics, metagenomics, pigs, Streptococcus. Bookmark the permalink.